Shipping $10.33 Add item to cart for shipping estimate. You can SAVE on shipping by buying multiple items from the same seller. Shipping is charged by each individual seller. Sellers at times may also provide FREE SHIPPING on select items or on entire order if it meets the minimum order value. Please check sellers page for more details. Decorated SMALL WOODEN TRAY for gift wrapping. They are embellished and hand decorated. 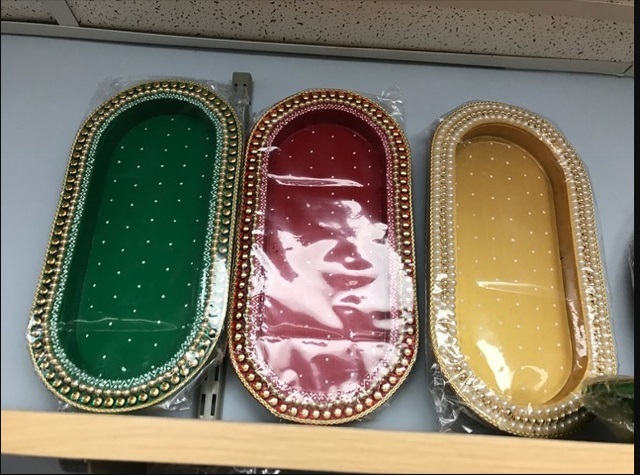 These trays are multipurpose. Use them for gift wrapping during wedding or festival. You can also be creative and use them as home decor. Available in small & big size. Please specify an color preference you may have and we will try to fulfill your request. Mostly available in cream, maroon & green. *Note - These are available in rectangle. round & rectangle with round corners. Please specify your preference. Shipping Cost $10.33 Buy multiple items online from Sangu Enterprise Ltd to SAVE on shipping. 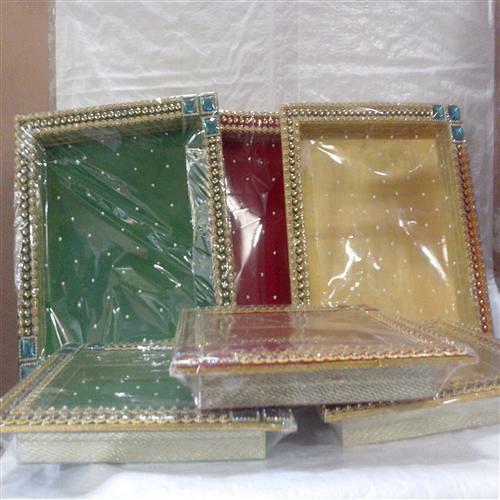 This item in Festival Gift Basket category was first added to our catalog on 08-10-2015. 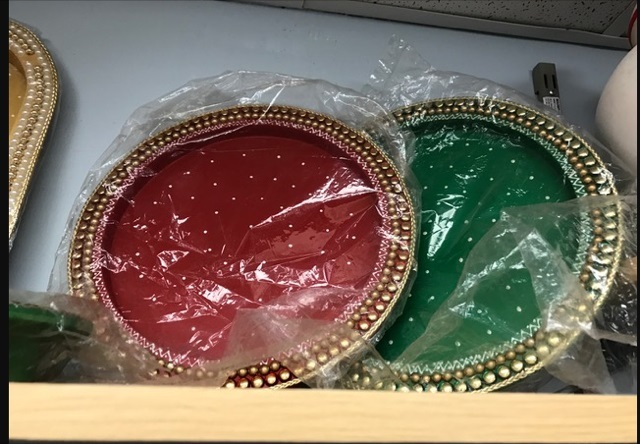 Buy Decorated Fancy Traditional Wooden Tray, sold & shipped by Sangu Enterprise Ltd where you can shop online for Indian Restaurant Supply, Pooja Mandir, Handicrafts, Utensils & Gifts. This Decorative Tray collection has been tagged as Indian Style Tray, Diwali Wedding Gift Idea, Wood Accessory, Indian Handicraft, Gift & Decor, Gift Basket.